Dr Jengo's World: Looking forward to Mafia 3! Mafia 3! Already have the game but have yet to touch it because of the GameStart 2016 convention over the weekend.. I haven't read the reviews but I have seen mostly positive comments about it, so that's good... Not going to let anything spoil my excitement so I have been avoiding the negative reviews for now. I have always been a fan of the Mafia/Gangster theme in movies & games and Mafia 3 was one of my most anticipated games of 2016. I have been watching the trailers in the weeks leading up to the game. Gonna put them up here for 1 more watch before I start the game, hopefully tonight. and meet the Characters of Mafia 3! To top it off, I have been playing Mafia 2 in the build-up to the release. Completed it the previous weekend and loved it. Huge cliffhanger at the end and I really wanted to know what happened after that. 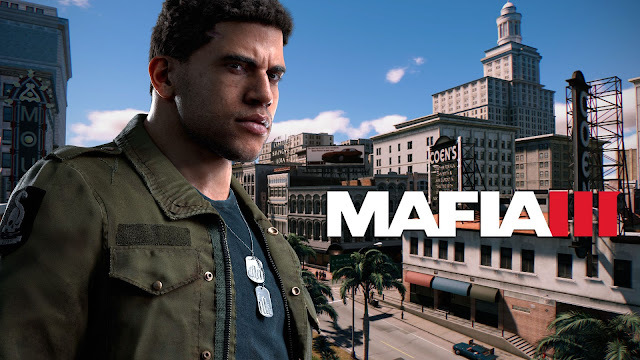 Perhaps some answers would be revealed in Mafia 3 since Vito is in the game too. There's also DLC planned for the game so perhaps we could see Vito's story similar to the DLC in Mafia 2 where the story was focused on other characters. Already bought the Deluxe Edition, which comes with the Season Pass because the vinyls in the Collector's Edition would be a waste without a Vinyl player... Unless... I win this! Very hyped for the game.. Can't wait to get started on this!